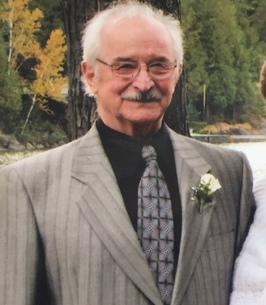 Adam Dreyer Service Details - THUNDER BAY, Ontario | Sargent and Son Ltd.
Adi Dreyer went to be with The Lord on Wednesday August 1st, 2018, only a few short months after Gerda, his beloved wife of 65 years passed away. The cause of death may have been a broken heart. Adi is survived by his sons Ken and Tom, daughter in law Erin, and his much loved grand daughter Ruby. After growing up in Germany, Adi moved to Canada in 1951 to start a new chapter in his life. His darling Gerda arrived in 1952, when they were married and began their life of adventure together. When Adi first immigrated to Canada, with little more than the clothes on his back, he began working in the logging camps of Northern Ontario for a number of years. 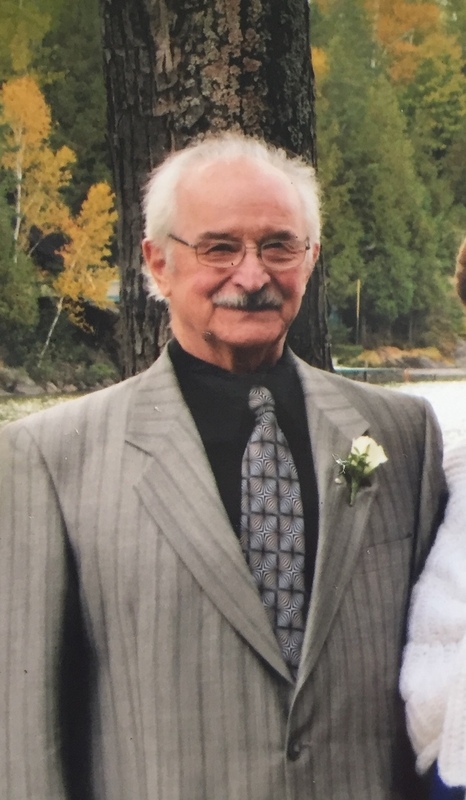 He then started with Lakehead Insulation and Plastics, where he stayed for the rest of his working years, eventually becoming a partner in the company. Always a proponent of the honour of honest toil, Adi worked long hours in locations all across Canada to support his family, before retiring in his mid fifties. Adi was a life long member of First Baptist Church, where he sang in the choir, served as a deacon, helped to maintain the church building, always being a positive influence in that community in his understated manner. A hearty handshake, a friendly hug and a laugh were his trademark greeting on Sunday mornings. Adi had a number of ways to enjoy his leisure time. Travelling with Gerda to their beloved homeland of Germany, or to other far flung places around the globe was always a favourite pastime. An avid philatelist, Adi spent many happy hours poring over stamps from Germany and Canada in his office. The camp at Hicks Lake also took up a lot of Adi's spare time, cutting down trees, building various structures and generally puttering about. A long time member of the Canada Games Complex, Adi would go for a workout almost every weekday well into his later years. Whether or not the workout consisted mainly of sitting in the sauna and then going for coffee is anyone's guess. As well, Adi volunteered for Meals on Wheels for decades, and was an active member of The Gideons for many years. The Dreyer family would like to express their appreciation to our friends from First Baptist Church, who have been paragons of compassion and caring to Adi, and to Gerda, in the closing stages of their lives. It gave us great comfort knowing that there were wonderful people around our parents every day while we were living far from Thunder Bay. As well, we would again like to thank the exceptional staff at Glacier Ridge and at St. Joe's, who went above and beyond the call of duty in their caring for Adi. Funeral services will be held on Tuesday, August 7th at 11:00 am in the Chapel of the Sargent & Son Funeral Home, 21 N. Court Street with Pastor Betty Hjalmerson presiding. Interment in Riverside Cemetery. Visitation for family and friends will be held one hour prior to service time. Should friends desire, memorial donations to the charity of one's choice would be appreciated. On-line condolences may be made at www.sargentandson.com. To send flowers to the family of Adam Hermann Alas Robe Dreyer, please visit our Heartfelt Sympathies Store. The staff and management of Glacier Ridge express sincere condolences to the Dreyer family, and to Adi and Gerda's many friends around the world. By the sheer volume of personal mail, interesting-looking envelopes post-marked from sources far and wide, it's easy to imagine the circles of friends and cherished memories over a lifetime. But the most telling evidence about the kind of people Gerda and Adi were, are are, somewhere together again, was their custom of holding hands; this throughout a loving marriage of 65 years. It has been an honour to meet and get to know them both, while they lived here at Glacier Ridge. During our extended travels we recently learned of the passing of our long time neighbour. He was a true gentleman, always with a positive outlook on life. He will be missed. Our condolences to the family. We regret not being with you on Tuesday at the celebration of his life in God's family. My thoughts and prayers to the family. Your dad was always one of the first to greet me at church whenever I came home to visit. Both of your parents will be missed. I am sorry for your loss. Ken, Tom and all your family: 'It takes a long time to grow an old friend.' Your parents were among those we knew and loved, who supported and encouraged us and helped us in our faith journey. Your Dad's willingness to extend his physical strength and keen knowledge was an example we cherish. Aging is not kind, but we have hope for eternity, grateful for God's sustaining power. We send our deepest sympathy.